Completing its 25th Anniversary, Ashirbad Group of Companies organized an event in Delhi on September 22. Industry players and special guests were called to attend the event. Awards were given to the star performers of the company which was followed by dinner. 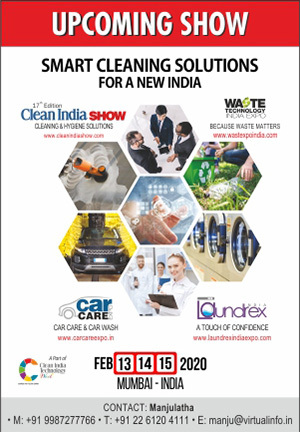 Speaking on the occasion in a brief interview with Clean India Journal, Debashish Dasgupta, Founder and Managing Director, Ashirbad Group of Companies said, “The 25 years in the life of an organization is hugely significant and momentous. Having reached this major landmark in the journey of Ashirbad, gives me great joy and satisfaction.” Debashish has been awarded with Hind Rattan Award by The Council for National Development, Delhi. Conversing about the products and challenges, Debashish added, “Mostly we use Roots and Karcher along with chemicals from Taski. But, it also depends on the customer as to which chemicals they want us to use. Some even prefer Indian products. The only thing we don’t have in India is knowledge and modernization. This is the reason technology and foreign players are entering into the Indian market, which is becoming a challenge to us,” said the Founder. Today, in Ashirbad, we are clean in every manner whether it comes to employees, customers or even an outsider. “This occasion is extremely memorable for us. It has been a privilege serving to the best of our abilities. We made a very humble beginning in 1993 with limited resources and a strong desire. Today, we have multiple contracts and assignments. The biggest satisfaction for us is to have clients who are with us since our initial years. Our workforce has similarly grown over the years. Our boys are fully committed to perform and deliver complete satisfaction. We have also adopted technology as we understand the importance of modern methods to improve the quality of our services for faster delivery. This has been possible only because of the consumers. We are able to celebrate this happy occasion with our valued clients because of whom we are here,” Debashish said in his closing speech. Like any other company, Ashirbad has also seen many ups and downs. 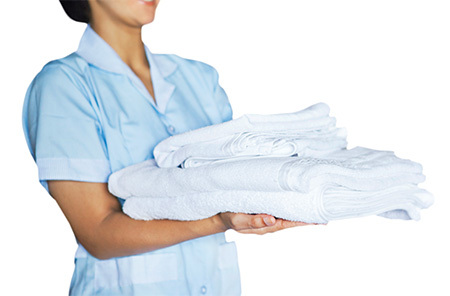 After successfully establishing Ashirbad Housekeeping Services, the managing director decided to explore another vertical of the industry. This resulted in the launch of Ashirbad Intercon Pvt. Ltd which is a designing and construction company and has been serving clients for more than 20 years. In 2007 there was one more addition i.e. Ashirbad Infrastructure Services and Facility Management Pvt Ltd which provided integrated facility management services. Ashirbad’s client base includes International organizations, government sectors, multinational companies, limited and private limited companies, and educational institutes. Ashirbad has its presence in various cities like Chandigarh, Gurugram, Manesar, Delhi, Lucknow, Patna, Guwahati, Ranchi, Kolkata, Jamshedpur, Bhuwaneshwar, Hyderabad, Vijaywada, Jaipur, Gwalior, Bhiwandi, Gandhi Nagar, Bhachau, Bhopal, Mumbai, Pune, Bangalore and Chennai with over 100 sites. Supervisors, executives, field officers, operation managers and management are present on all these sites.